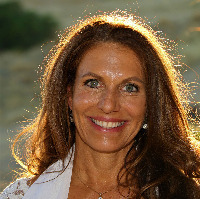 Susan De Salvo-Reed is a Healing Touch Certified Practitioner and Instructor, Wellness Consultant, Coach and Nurse of over 30 years experience. In the hospital environment Susan specialized in ICU, cardiology, cardiac rehab fitness, behavioral health, dialysis, and wound care. After time she saw a true need to treat the "whole person." Her passions lead her to blend therapies for the best patient care. She became a Healing Touch Instructor and Practitioner in 1994 and has been teaching Healing Touch in acute hospitals nationally and internationally since 1997. She has helped establish clinics, Healing Touch teams, research pilots and support groups for community and practitioners. Susan is in leadership with HTP as a active member on the HTP Certifcation Board. With a gift for communication Susan has private practice where she integrates talk therapy, and Healing Touch of 20 years. She presently is the SafeRx Coordinator- Educator and Consultant for Lake County and teaches Healing Touch in northern CA. She is presently writing a book on Touch Techniques and Treatments. Susan's education includes a degree in Nursing from New York, Certifications in Healing Touch as a Practitioner and Instructor and Wound Care Specialist. Her life experience in healing arts is a natural expression of a deep understanding that modern medicine and Healing Touch together provide helpful treatment of any dis-ease. Susan is a activist when it come to Healing Touch and Lifestyle Management. She believes healing comes through the body/mind connection. In her own words, "my quest is to bridge the gap between allopathic medicine and complementary medicine", she states, "this is the place where true wellness within can be found."